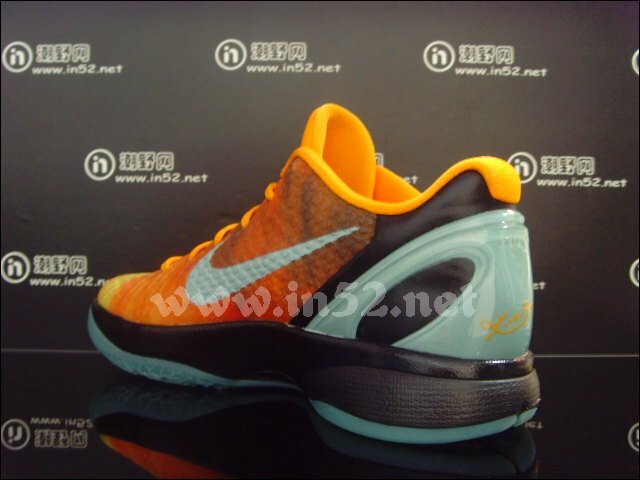 Another look at the "Orange County" Zoom Kobe VI, which will hit retail in a little less than two weeks. 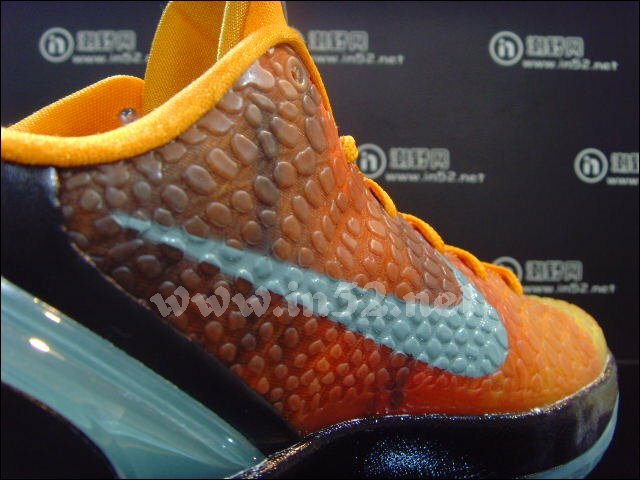 NBA All-Star Weekend 2011 may be the biggest in the career of one Kobe Bean Bryant. 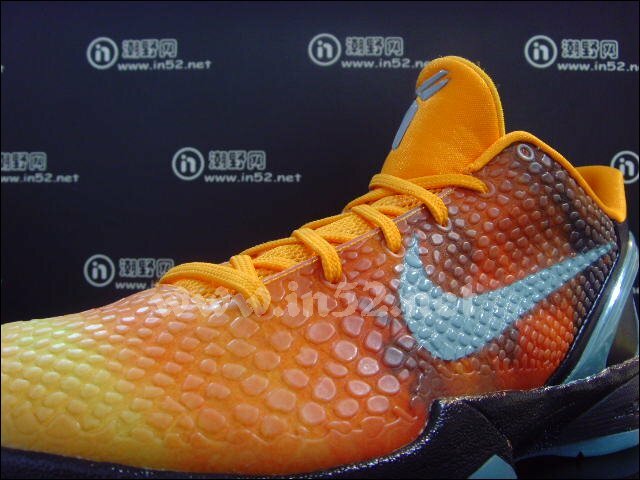 In addition to being the star of a 30-minute short film directed by Robert Rodriguez, his Zoom Kobe VI signature shoe will hit retail in a slew of colorways inspired by sunny Los Angeles. 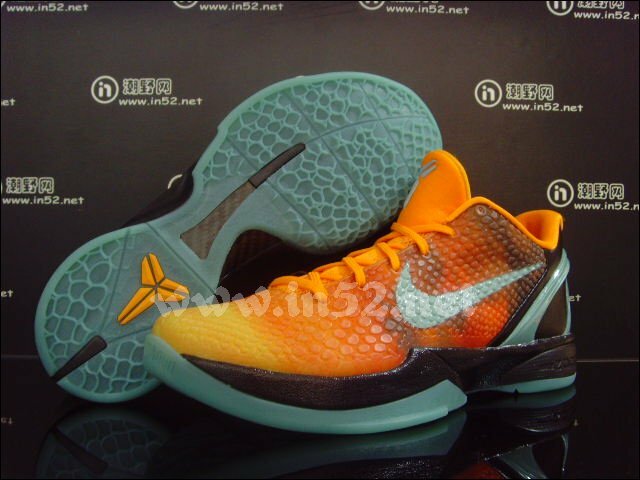 Included in the pack will be a colorway done in tribute to Orange County, where Kobe currently resides. 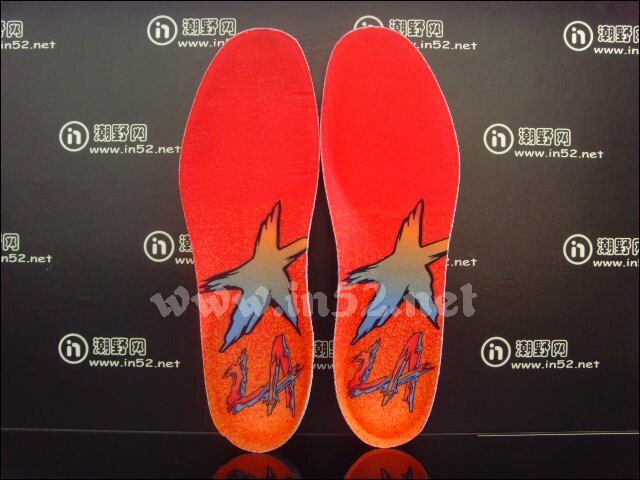 The "Orange County" Kobe VI features an appropriate orange peel upper emblazoned with sunset graphics. 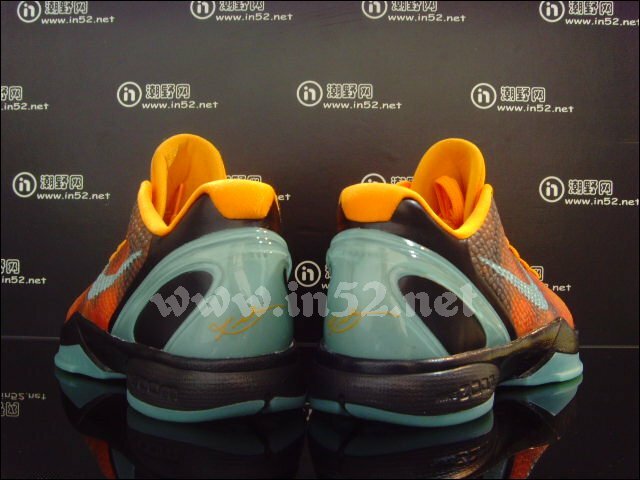 A blue-grey hue known as cannon accents the shoe on the Swoosh, Shozoku, external heel counter and outsole. 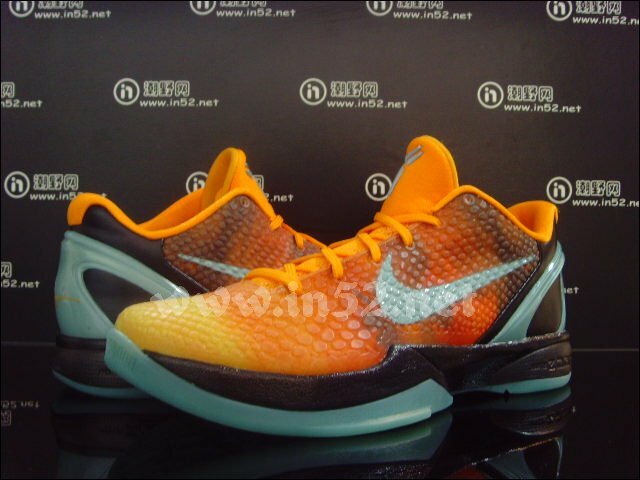 Black fills in the heel and midsole to finish off the look. 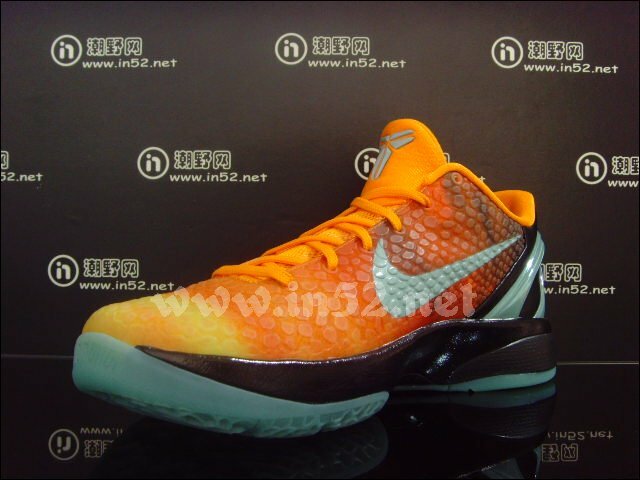 You'll be able to pick up the "Orange County" Zoom Kobe VI on February 11th. Quantities will be limited.